After teaming up for the smooth single “Contradiction”, Mali Music and Jhene Aiko take things to another level with a powerful music video. In case you missed it, “Contradiction” is a cut off of the Chi-Raq soundtrack. “If you say that it’s over, I won’t die/ I’ll just come back for more (Aw yeah)! We’ll meet again for sure / If you say that it’s over, I won’t die,” the duo croon over the melodic production. In the video, Mali and Jhene are at an overcrowded party where the dancers symbolically turn into checlk-outlined bodies that appear and disappear. “Every so often music videos can stand for something special and important,” Mali told The FADER. “Have we become so numb to the senseless violence and other nonsense in this world that people can quickly disappear from our lives we just move on without missing a beat? It’s time we wake up and show each other how much we love each other before it’s too late.” Powerful message! Remember to love yours over the weekend! 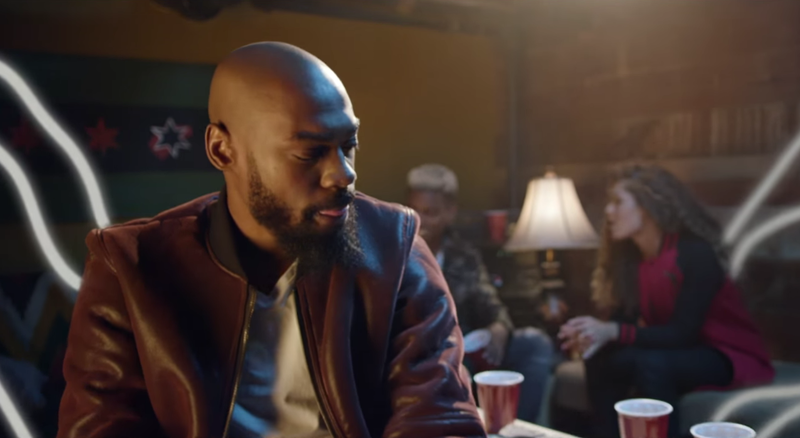 Check out Mali Music and Jhene Aiko in “Contradiction” below!